Tomorrow is National Chicken Wing Day (yes, it’s a real holiday!) and Hooters is offering a $12.99 all-you-can-eat wing deal on Tuesday, July 29, at participating locations throughout the country. In honor of their favorite holiday, Hooters has issued a challenge to chicken wing aficionados across the nation to collectively eat two million wings in one day. 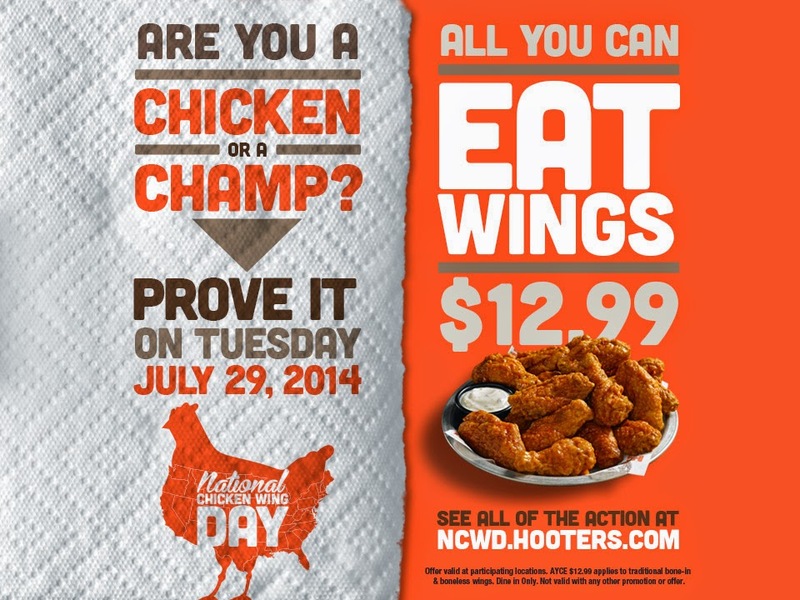 Hooters will provide novelty wing-tally stickers to guests who accept the challenge on National Chicken Wing Day. Wing devotees can also share their personal wing counts digitally by posting photos on Twitter and Instagram with the hashtag #StepIntoAwesome. There will also be an official wing tally updated every hour on the Hooters Facebook page.